Baton Rouge, LA - AbraxSys now offers a multitude of open frame monitors with industrial LCDs to provide industrial OEMs, machinery and kiosk manufacturers, as well as automation control and process systems with off-the-shelf systems. 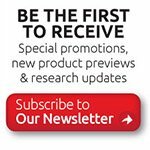 AbraxSys open frame LCD monitors with highly reliable and durable products offering a vast selection of touchscreen technologies and mounting solutions that help simplify all aspects of machine to machine interface applications. AbraxSys open frame LCD monitors are fully-integrated, commercially off-the-shelf (COTS) units that combine high-performance touch screen technologies, long-life LEDs, and trus industrial-grade TFT-LCD flat panels. These rugged products have a narrow mechanical design which can be flush mounted to any front surface industrial design. 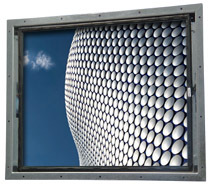 AbraxSys’ open frame displays provide reliability, durability, and expected long product life. The rugged all steel frames and highly-durable glass front surface provide the durability needed for demanding industrial environments. AbraxSys full-range resistive touch open frame monitors are available in screen sizes 8.4", 10.4", 12.1", 14.1", and 17". 1. High Reliability: Environmentally friendly construction with long and safe operation in most demanding operational environments. Wide Temperature Ranges, these systems are designed to deliver optimum performance over a wide range of temperatures in order to accommodate diverse industrial applications. Forward Compatibility: Industrial components are typically expected to be supported by the manufacturer on long term basis. 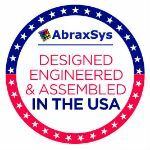 In order to meet this expectation, AbraxSys delivers products that are forward- compatible with succeeding future models offering higher performance and additional features. Long-life Lamp/LED (Light Emitting Diode) units; the lifespan of five years or more is a basic condition for applications such as factory automation and measurement instrumentation. To address this requirement, AbraxSys’ LCDs use lamps with 50,000 or more hours half-life. 2. Optimal Visibility: Excellent display characteristics even when viewed from extreme angles and in less than optimum conditions. Industrial applications typically require screen viewing from varied angles, often by multiple operators at once, from a variety of positions. AbraxSys LCD open frame systems meet these demands through a design that fosters easy viewing from extreme angles. High Brightness is critical for optimum visibility in industrial applications like on the factory line, and for outdoor use. The majority of AbraxSys’ displays have a brightness rating above 200 to 400 cd/m2 (nits). Some of the AbraxSys’ high brightness panels are rated as high as 1000 cd/m2 and 1500 cd/m2. 3. Enhanced View-ability: Continuous improvement in design and manufacturing, in order to achieve display of true-to-life images. Color Conversion Technology: Natural Color Matrix: HMI, Point of Sales (POS) terminals and kiosks often display advertisements and colorful images, the colors of which must remain vivid and as close as possible to the original. With a typical display, the image invariably deviates from the original source because of display device characteristics. Natural Color Matrix delivers balanced color conversion without loss of panel color properties to ensure color quality that is very close to the original image.